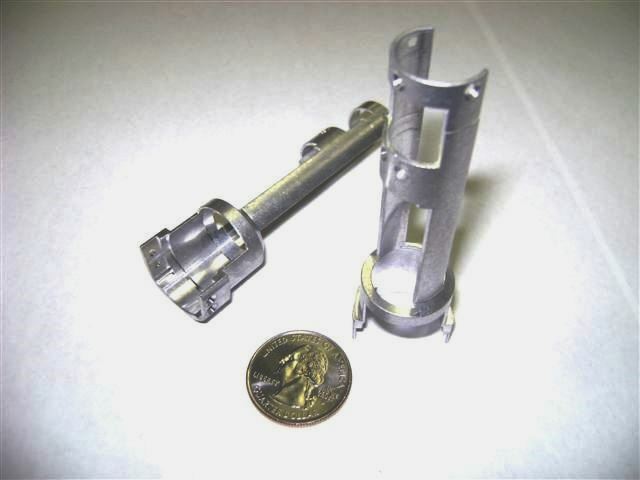 Above, A Micro Machined Example: The components are made from 17-4 PH Stainless Steel and are heat treated to 45rc. 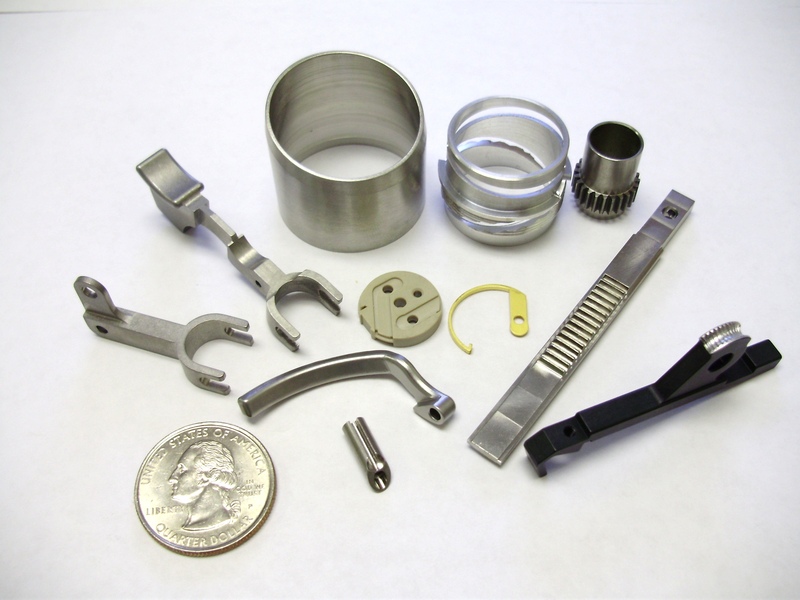 The coin to the right is a dime for size reference. 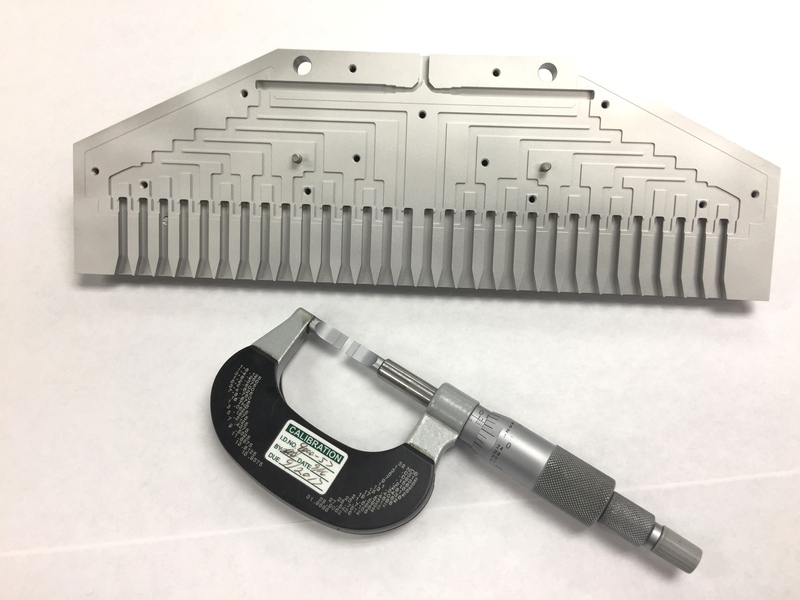 Above, the 2 components are 6061 Aluminum, made from bar stock in 1 operation in one of our Turn/Mill machines. 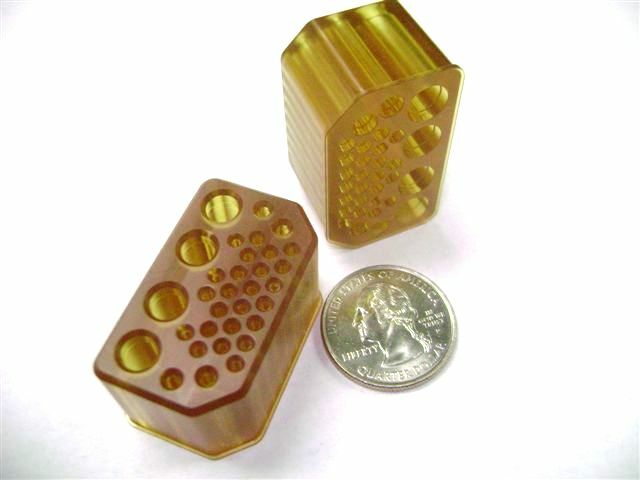 Above, the 2 components are made from Ultem 1000 and are custom electronics plugs. 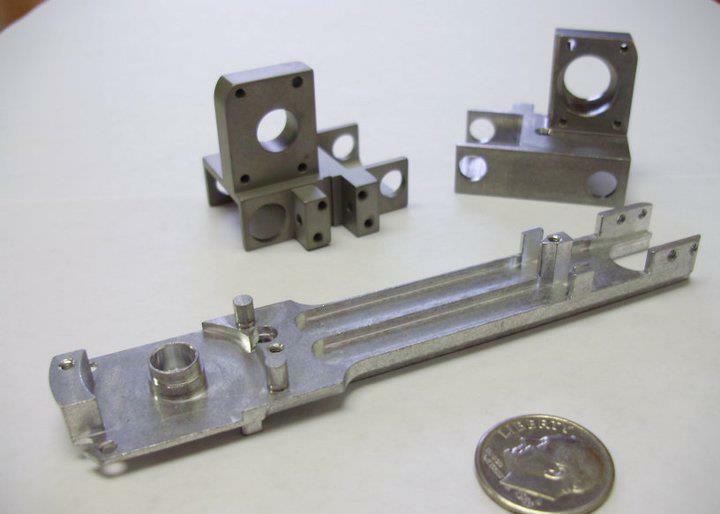 Above, this complex milled component is made from 6061 aluminum and is part of an electronics housing.